Here’s a sickening fact: “The average woman shaves 7,718 times in her lifetime”, and it’s no picnic for men either—though if we’re all being honest we probably wouldn’t gasp at the sight of a man’s hairy leg, armpit or worse…chin! Whether your female or male, we all tend to have certain parts of our body that we’d prefer to be hair-less. You’ve probably already gone through the tried and tested methods of shaving, plucking, waxing, or perhaps the ghastly fumigation otherwise known as Nair; but no matter how hard you try that hair just seems to grow back, and with a vengeance! You’ve probably also heard of (or even tried) the miracle hair removal known as ‘IPL’ or ‘laser hair removal’, and depending on when you had that done, that experience could either be great, or little short of a horror story. The initial wave of laser hair removal got a bit of a reputation for being painful or very uncomfortable, but a lot has changed since then. In fact, the technology is so advanced that many people feel little to no pain at all, to which many clients are surprised after years of trying the previously mentioned old school techniques. At Clinic Visjeune we have made it our mission to source and provide the highest quality hair removal treatments for you guys, and with that, allow us to introduce the ‘Diode Laser’. 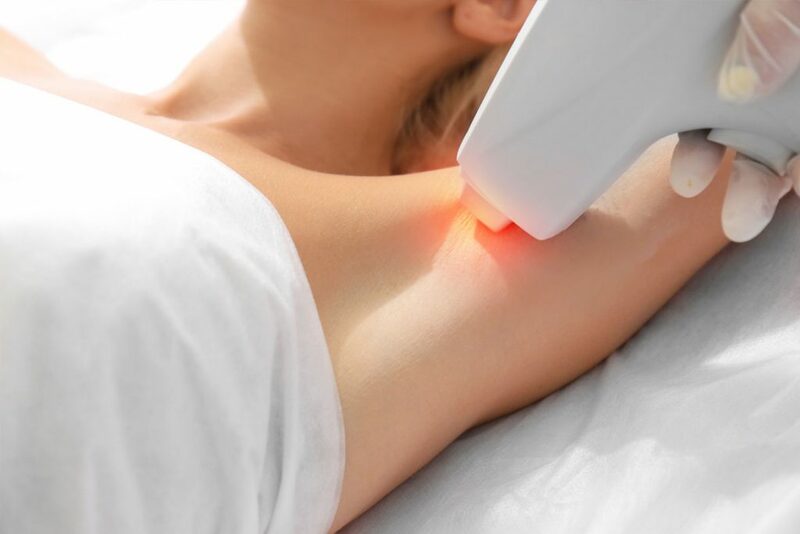 Unlike IPL (which is a great alternative for some skin types), the Diode laser uses a highly effective laser—not a light—that blasts the unwanted hair follicles at the source. The intense beam kills the hair cells in approximately half the time of IPL, and is proven to have longer lasting results for all skin types. Just imagine, in as little as 6-8 sessions (depending on the area being treated) you could be free of your unwanted hair for good! And to incentivise more people to come and try this amazing treatment, we are offering Diode Laser services for the same price as regular waxing. Winter is really the best time to enjoy Diode Laser hair removal, as your skin will naturally be that tad more sensitive to direct sunlight post treatment—not to mention the fact that you would be silky smooth in time for summer. So the real question is; are you ready to get rid of your unwanted hair for good? SPECIAL OFFER: 50% OFF* Diode Laser Hair Removal, that’s the same price as waxing!